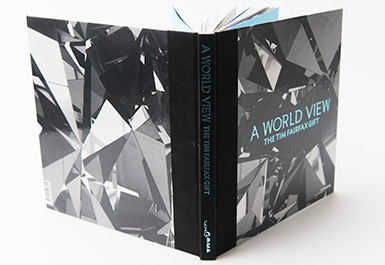 'A World View: The Tim Fairfax Gift' celebrates a decade of artworks acquired through the support of a single generous benefactor. Tim Fairfax's extraordinary commitment has brought major works by leading international artists into Queensland's Collection, for visitors to enjoy now and into the future. 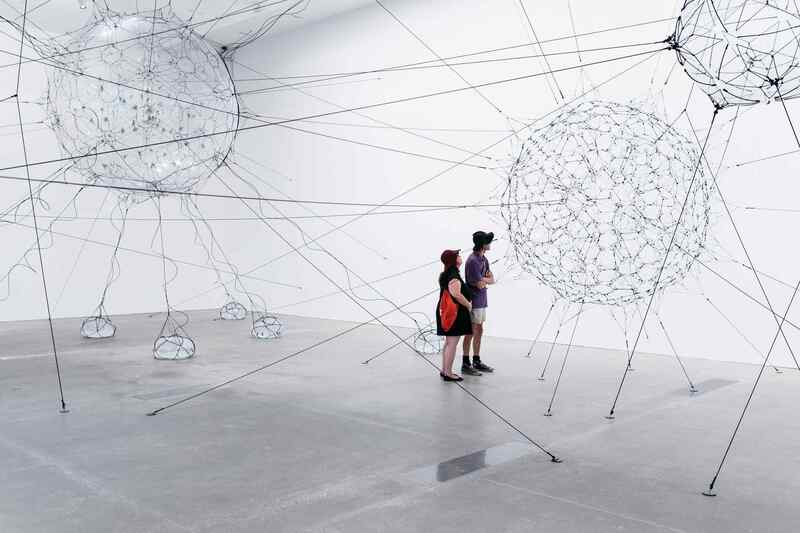 Movement is at the centre of this exhibition: the movement of our own bodies dramatically framed by Tomás Saraceno's majestic webbed spheres, or reflected in the sublime geometry of Timo Nasseri's refracted universe or be mesmerised by Julian Opie's passing parade of humanity. 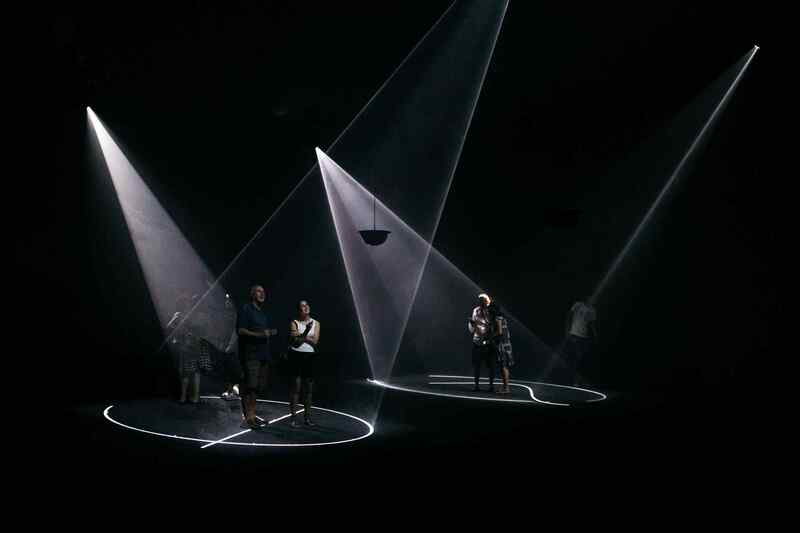 'A World View' includes a new captivating light work by leading international artist Anthony McCall. 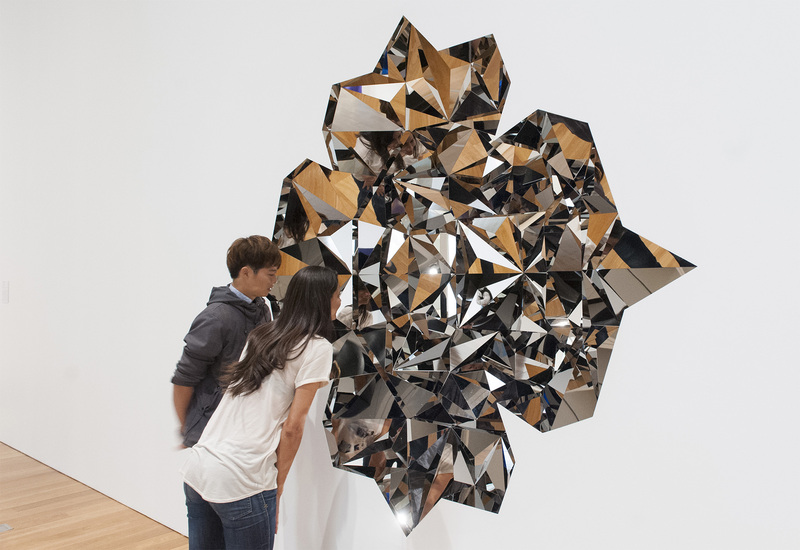 Visitors step into shafts of intersecting light and are encompassed by the sound of breaking waves — an incredible sensory experience. 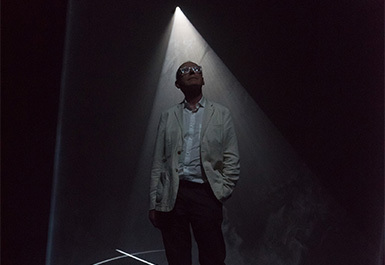 Anthony McCall, United Kingdom/United States b.1946 / ‘Crossing’ 2016 / Two double video projections (16 minutes), haze machine and sound / Commissioned to mark the tenth anniversary of the opening of the Gallery of Modern Art. 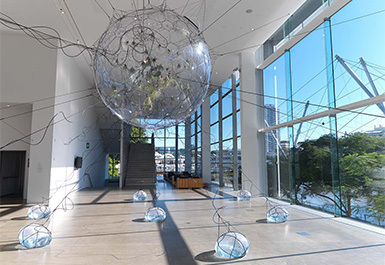 Purchased 2016 with funds from Tim Fairfax, AC, through the Queensland Art Gallery | Gallery of Modern Art Foundation / Collection: Queensland Art Gallery / © The artist..
Tomás Saraceno, Argentina b.1973 / Biosphere 02, Biosphere & Biosphere cluster 05 2009 / PVC, rope, nylon monofilament, acrylic, Tillandsia plants, air pressure regulator system, hydration system / Purchased 2014 with funds from Tim Fairfax, AC, through the Queensland Art Gallery | Gallery of Modern Art Foundation / Collection: Queensland Art Gallery / © The artist..